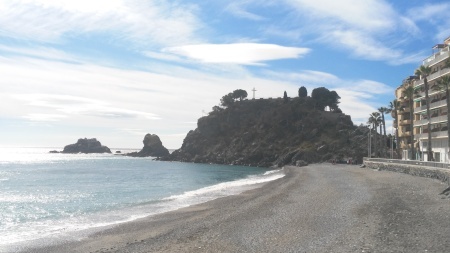 My adventure in Almuñécar came to an end. During two months and half I had quite enough time to discover this beautiful destination. 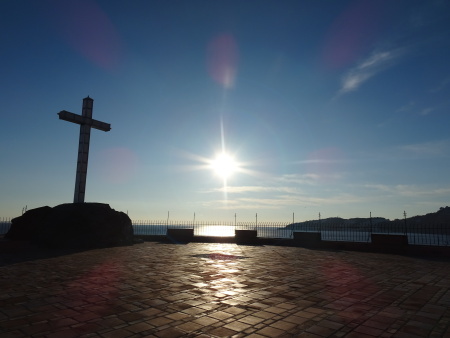 Almuñécar has rich history and dominates with many places to see. 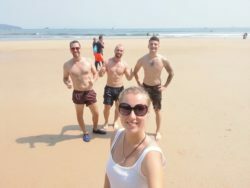 I have already mentioned something in a previous post but now I would like to give you the exact tips for the places that you should visit while you’re there. The original fortifications were built in the 1st century B.C. by the Phoenicians and Romans. 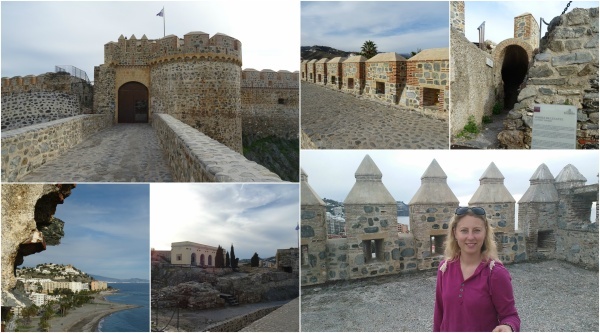 During the Moorish occupation, the castle became a huge fortress with 40 towers and 3 gates. Most of the current castle structure dates from the Arab era of the 8th through 15th century A.D. During the Nasrid dynasty, the rulers used the castle as a sort of seaside retreat. In 1495, it was captured by the Christians during the reconquest of Spain. The castle was extensively rebuilt, heavily fortified and given the name San Miguel by the Christian King Charles III. Later on the castle was occupied by the French and until the middle of the 19th century it was used as a Christian cemetery. The restoration process of the castle began in 1986. 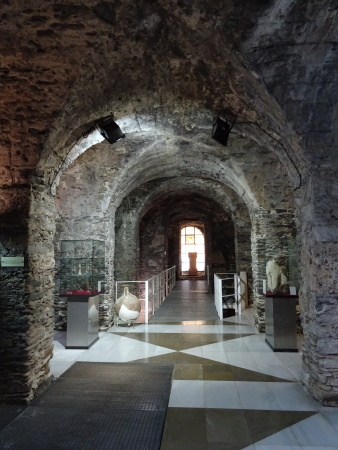 In the middle of the castle there is a museum of interesting Almuñécar history. It’s situated in a pavilion built in Neo-classical style in 18th century. The castle is quite big and you’ll get amazing views from there. When I was there, there was just one Swedish man with me in the whole castle so it was really quiet and we could enjoy the visit very much. When you visit the San Miguel Castle, you get a ticket to the archaeological museum as well. The musem is also known as the “Cave of 7 Palaces” (Cueva de Siete Palacios). It’s situated in what was the basement of a Roman building. 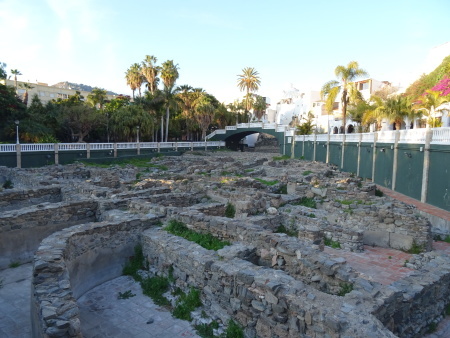 Inside there are remains of the historic past of Almuñécar, such as the collection of numerous objects discovered at the necropolis of “Puente de Noy” and “Laurita”, or the fish salting factory of the Majuelo botanical park. The museum is quite small, but it’s definitely worth visiting. I had never seen a museum inside of the cave before and I can say that it’s really impressive. It’s a natural bareer between the beaches San Cristóbal and Puerta del Mar. There are three rocks (peñones) – one large (El Peñón del Santo) and two smaller ones (Peñón de Enmedio and Peñón de Afuera). It used to be a site of an ancient shrine and it was connected to the castle by walkway. In 1900 the big cross was installed there. In current times, it’s a viewpoint where you can enjoy stunning views of the beaches, the castle and surrounding mountains. It’s definitely worth going upstairs. It’s a beautiful park in the middle of the town. There are more than 200 species of tropical plants brought from all over the world. Each tree has indentifying sign with its species and originating country. In the park there are also many marble sculptures created by Syrian artists. If you walk around, you can also see the “Province Houses”, built in the Spanish style. Each house has a name representing one of the provinces in Spain. The oldest part of the park is the ancient salt fishing factory. It was discovered in 1970 but dates back to the Phoenician times. In general, all types of fish were salted but the most prefered were sturgeon and tuna because of their juiciness of their meat. It was later more widely used by the Romans. They produced very popular fish sauce called “garum”. It was made from a puree of fish waste, intestines and other ingredients. During the year, many of the town’s festivals take place in the park. There is an open-air stage where the musicians perform. It’s popular mostly during the summer season. I really liked Majuelo park. It was so peaceful when there were just few people. It’s actually a great place to refill your energy. All the trees and sculptures give the park a special atmosphere. 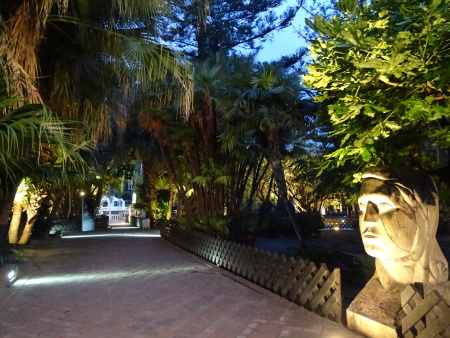 When it gets dark, all the sculptures get lightened. In the park, there is also a place where you can do exercises and that’s what I was using every week for my animation. Together with the guests I went there and we did our morning stretching. Perfect beginning of the day! Loro Sexi is an ornithological park. It was established in 1987. It is a home to around 100 species of birds including parrots, macaws, peacocks, owls, toucans and ducks. Besides the birds there are also some turtles inside of the small lake and lemurs. 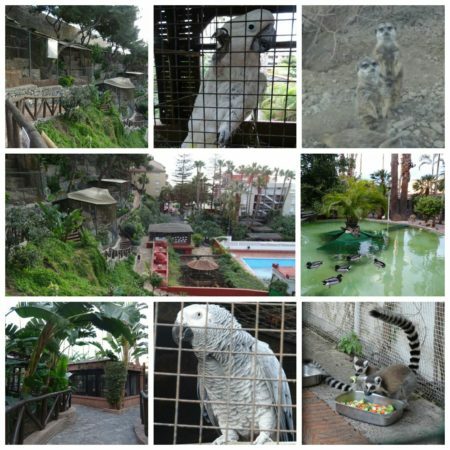 Inside of the bird park, there is also a cactus garden. Perhaps you know that I have a grey parrot back home. I love parrots and that’s why I was amazed by this park. I could have spent hours there inside. When I went there, I had just an hour to visit it. Because of my working hours, it wasn’t possible to spend more time there. Nevertheless, I was lucky because before closing when I wanted to leave, the lady let me stay more since they had to finish feeding all the animals. That’s why I could walk around the park again and I could even feed one cockatoo with the sunflower seeds. My best experience was when I was walking around the macaws. I got closer to the cage, saying “hola” and waiting for reply. One of the macaws was fearless and curious and decided to come closer to me. When I said “hola” again, I really got the reply “hola” and not just once. Later the lady told me that one of their grey parrots say “guapa”, I couldn’t hear it though. 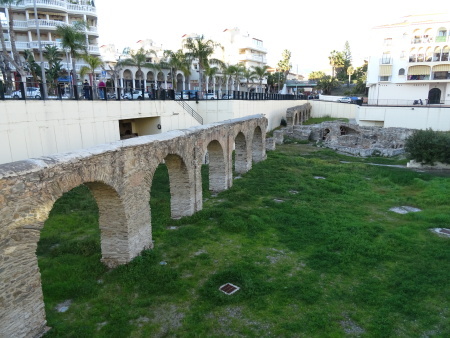 There have been a total of 5 pieces of the Roman aqueduct discovered, within 7 km of town. I have seen just two of the nearest parts. The first smaller part is situated in the centre of the town. 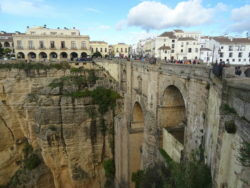 It’s called “La Carrera” aqueduct. 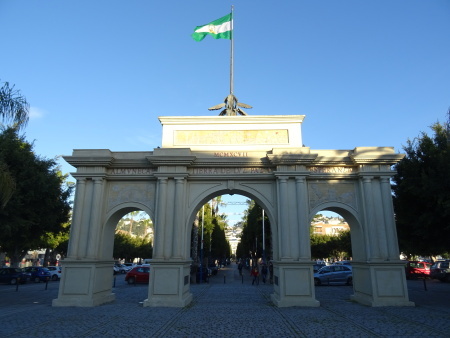 One of its archways used to be the entrance to the old Almuñécar. It can be easily missed because it’s located below the ground level. It includes the Roman baths as well. Unfortunately, you cannot enter the area of aqueduct because it’s closed. Much more impressive is the second bigger part of the aqueduct. You can reach it by walking in about 10 minutes from the centre. You find it in the “Park of Aqueduct”. It’s just outside of the town between two hills. It consists of two main levels with nine arches. It measures 72 meters in length. 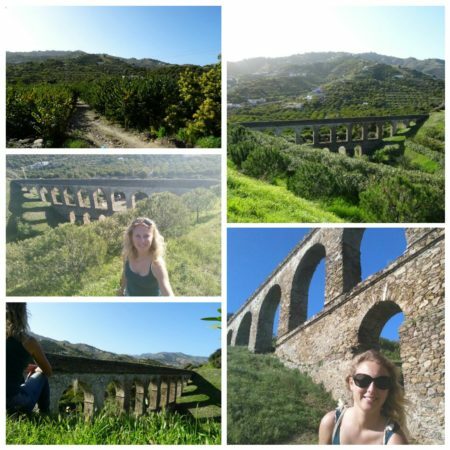 It’s not closed so you can walk around and enjoy amazing views of the aqueduct, mountains and surrounding nature. When I decided to walk to the bigger part of the aqueduct, I was told to go through the “Río seco” (Dry river). It felt quite adventurous since there actually weren’t people, just two cars passed by. When I finally saw the aqueduct, I had no idea how to get there. Fortunately, I found a way. I didn’t want to take the same way back so I was trying to figure out how to get out of there. It took some time but I found it and the way back was much easier. Sometimes it’s better not to get advice from new receptionist, even though he is local 😀 . This museum intents to share and teach the Japanese art of Bonsai while introducing the large variety of species from all over the world. The park was opened in 2009 and it’s one of the largest and complete of its kind in Andalucía. You will also find there beautiful Moroccan fountains, a stocked coy pond and other Zen paraphernalia all within the confines of an Andalucian garden. I didn’t visit the museum, maybe next time! Almuñécar aquarium is an underground complex that exhibits Mediterranean sea fauna. It normally has up to 3000 fish, across more than 200 different species. The first floor shows the evolution of marine life, from the simple jellyfish to the more sophisticated seahorse. The second level shows the function of flora and fauna in the marine ecosystem. 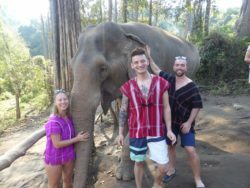 The highlight of a visit is a walk through the 17 meter long tunnel, allowing one to see sharks and stingrays swimming overhead. I didn’t visit the aquarium because in my opinion it’s quite overpriced. I’m sure it can be interesting but like one of my guests said: “Go to the sea and put your head to the water. It will be cheaper.”. If you travel with kids and the weather is bad, it would be a good idea to visit it. They will get entertained and I’m sure they will love it. 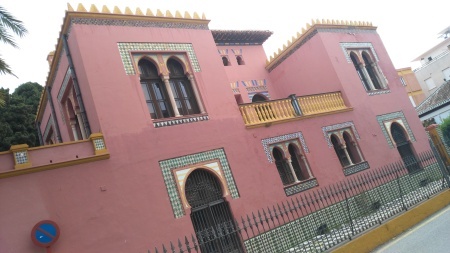 Najarra palace is a Neo-Arab building inspired by the Moorish house-garden tradition. It was built in the middle of 19th century. Nowadays, it houses the Tourist office of Almuñécar. At the moment it’s closed due to the improvement, renovation and maintenance of the building. The Church of the Incarnation is located in the town centre behind the town hall. 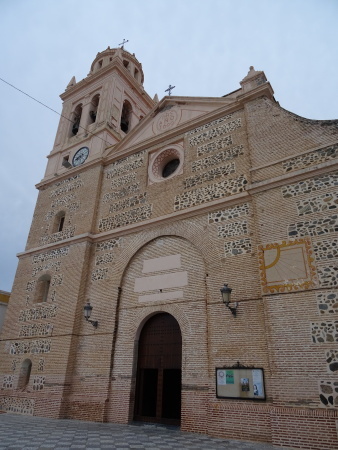 It was the first church in Granada province built in the new style of the 17th century incorporating elements of Baroque and Renaissance. 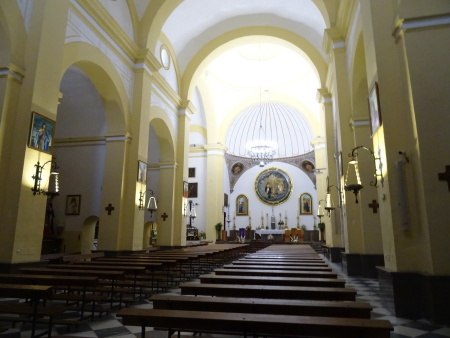 The church was built using materials from the old Arab mosque which was taken by the Christians during the reconquest in 1489. Arc de Triomphe consists of three arches representing the three cultures that have been present in Almuñécar – Roman, Muslim and Christian. Every Friday and Sunday the street market takes place in the area behind the arc. 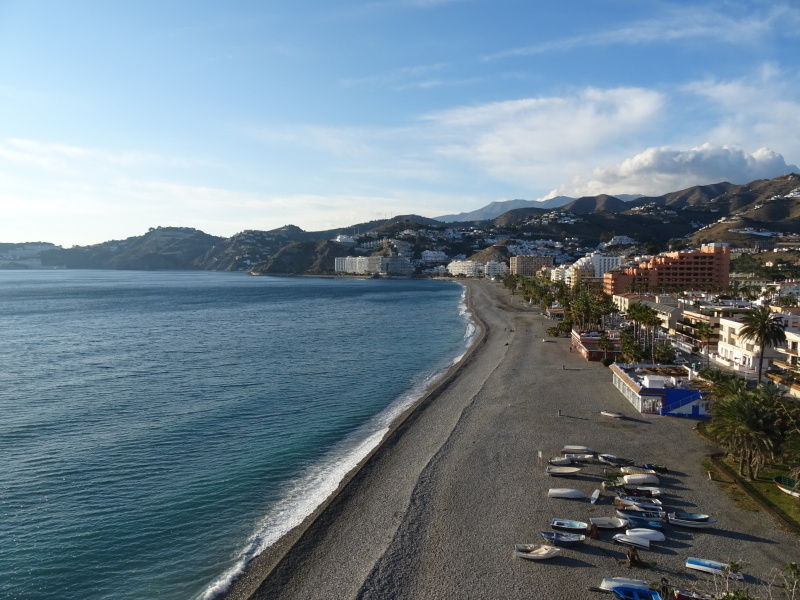 Before I found a job in Almuñécar, I didn’t know the town, neither the area of Costa del Sol. 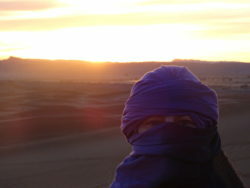 I didn’t know what to expect, I had no idea about how many places I’ll be able to discover. I can say that Almuñécar impressed me from the beginning. It’s a small town but it’s full of many interesting things and places. If you have the opportunity to visit it one day, do it. I can completely recommend it. I also hope to come back one day, not just because of the beauty and special atmosphere of the town but also because of the people I met there. It was an amazing experience for me and I will never forget it.